Sean Reidy has made 10 good tackles so far this game. 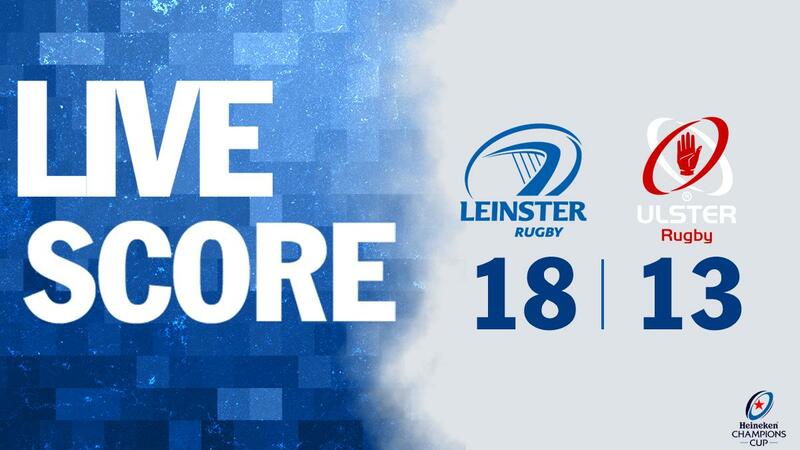 Leinster have won 160 rucks so far this game. Kieran Treadwell has made 20 good tackles so far this game. Jordi Murphy has made 20 good tackles so far this game. Rob Herring has made 20 good tackles so far this game. Iain Henderson has made 20 good tackles so far this game. 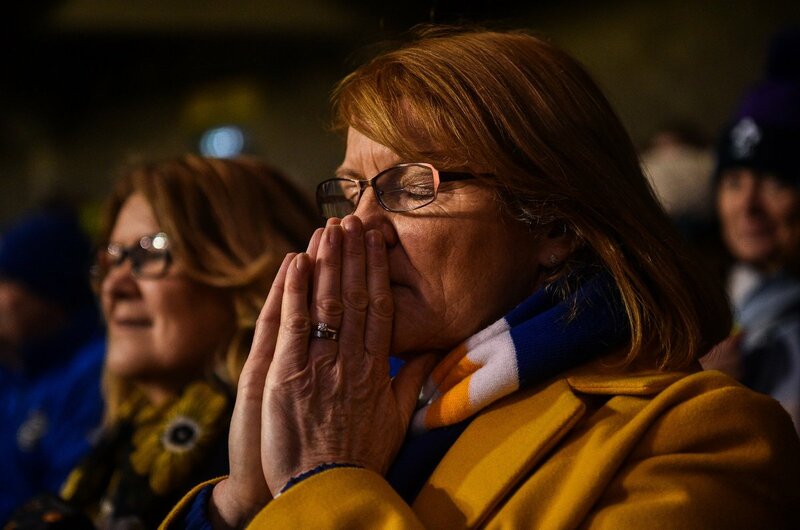 Leinster have won 140 rucks so far this game. Nick Timoney has made 20 good tackles so far this game. James Ryan has made 20 good tackles so far this game. Luke McGrath has made 10 good tackles so far this game. 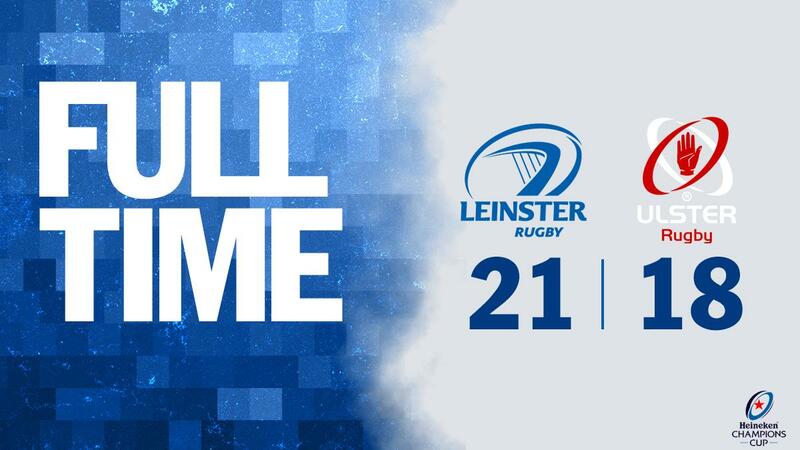 Ross Byrne adds the points for Leinster. 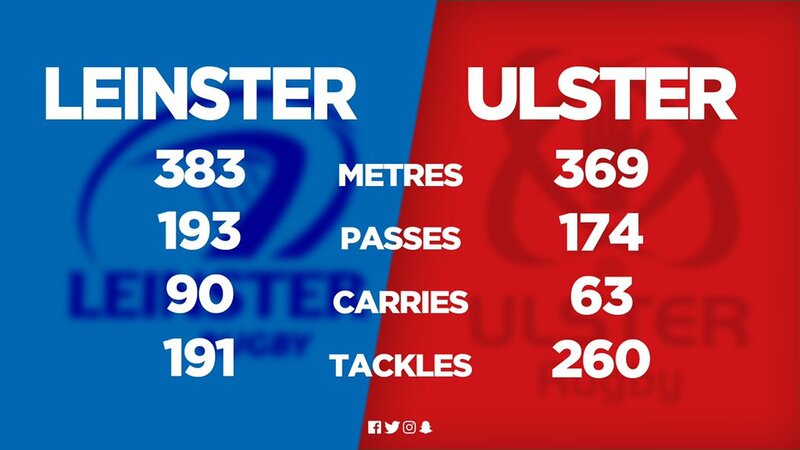 Ulster have won 120 rucks so far this game. 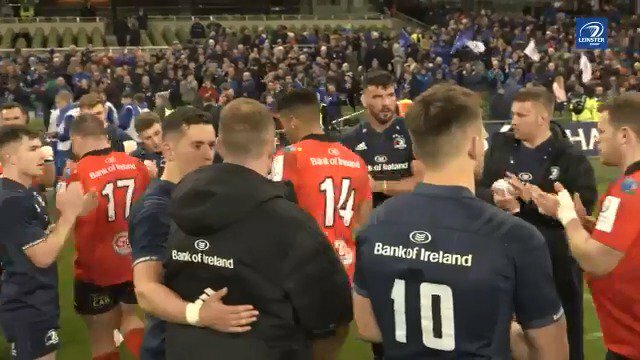 Leinster decide to make a substitution, with Andrew Porter getting some game time. 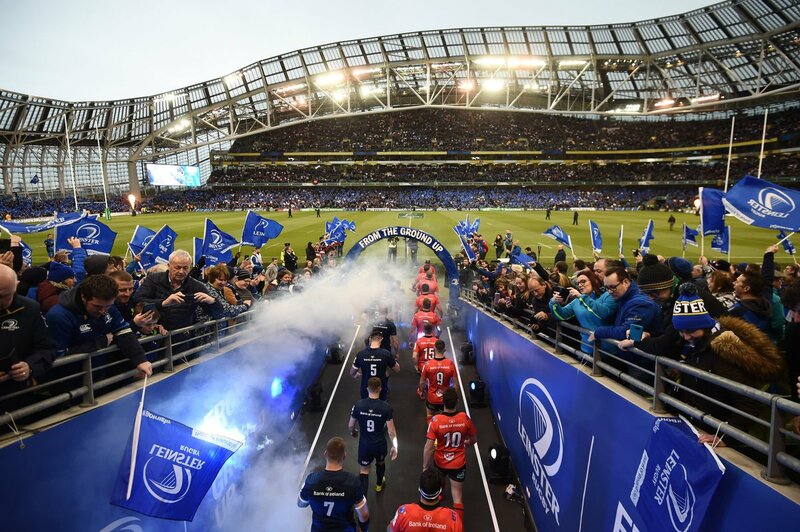 Leinster decide to make a substitution, with Tadhg Furlong being replaced. John Cooney has hooked the conversion to the left of the posts. Leinster make a substitution with Luke McGrath coming on. 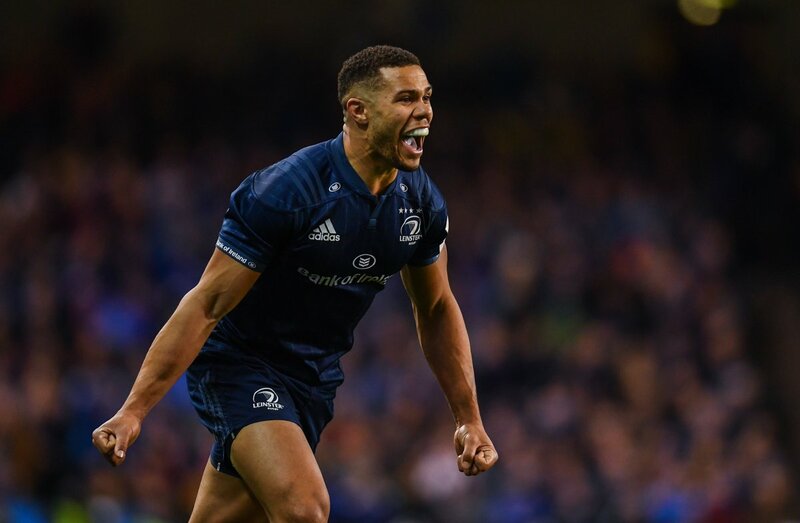 Leinster make a substitution with Jamison Gibson-Park coming off. Billy Burns played a key part in that try. 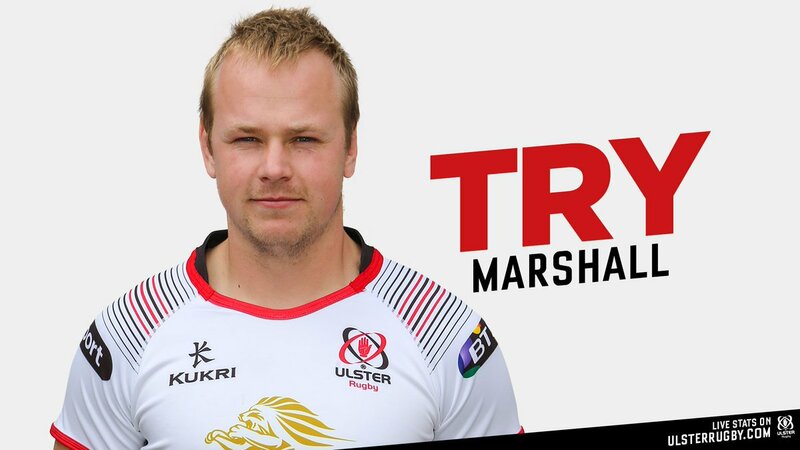 A series of passes by Ulster results in a try for Luke Marshall. Fabulous play by Ulster has led to Jacob Stockdale being able to wriggle through a gap. Ross Byrne has made 10 good tackles so far this game. Ulster sub Luke Marshall comes onto the field. 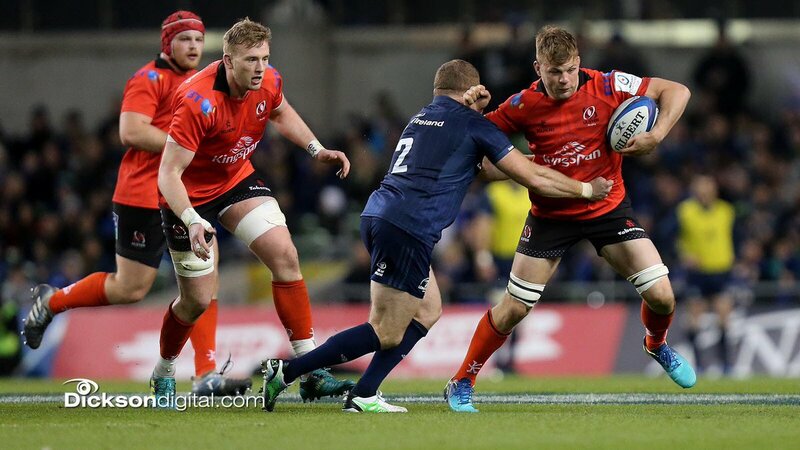 Darren Cave departs for Ulster. Mick Kearney comes on for Leinster. Scott Fardy has made 10 good tackles so far this game. Ulster have won 100 rucks so far this game. Trouble here as Jacob Stockdale breaches the defence. 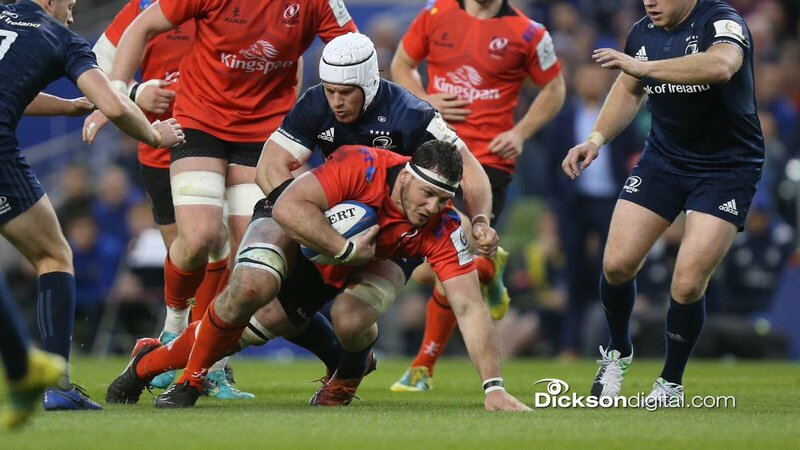 This is dangerous for the defence as Adam Byrne bursts through to advance the Leinster attack. Ulster have won 80 rucks so far this game. Rhys Ruddock has made 10 good tackles so far this game. A gap opened in the defence and John Cooney took full advantage. Ulster decide to make a substitution, with Wiehahn Herbst getting some game time. Ulster decide to make a substitution, with Marty Moore being replaced. Ross Byrne converts the try. 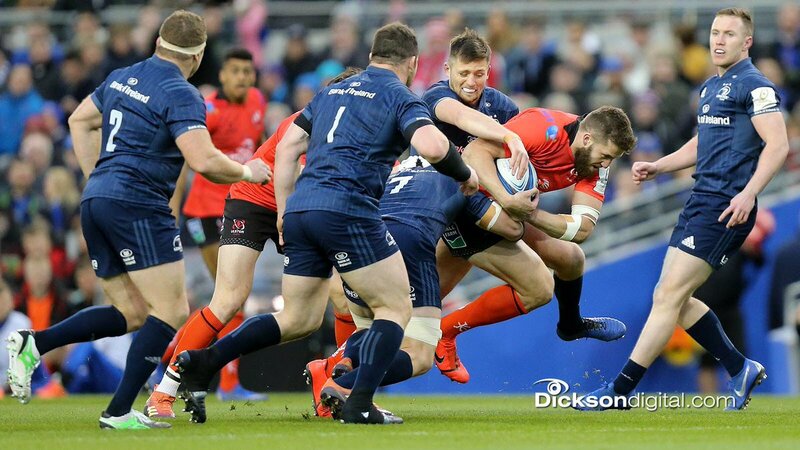 That's a great try assist by Jack Conan. 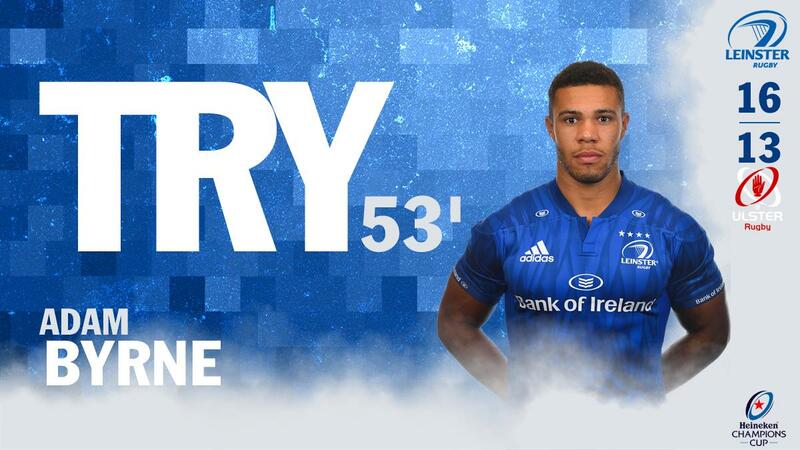 Great hands by Leinster leads to a try for Adam Byrne. Leinster make a substitution with Dan Leavy coming on. 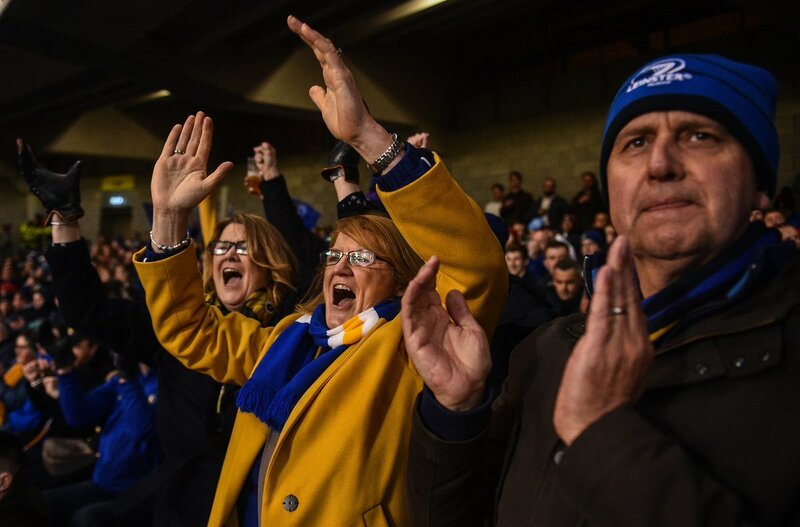 Leinster make a substitution with Sean O'Brien coming off. Ulster sub Sean Reidy comes onto the field. 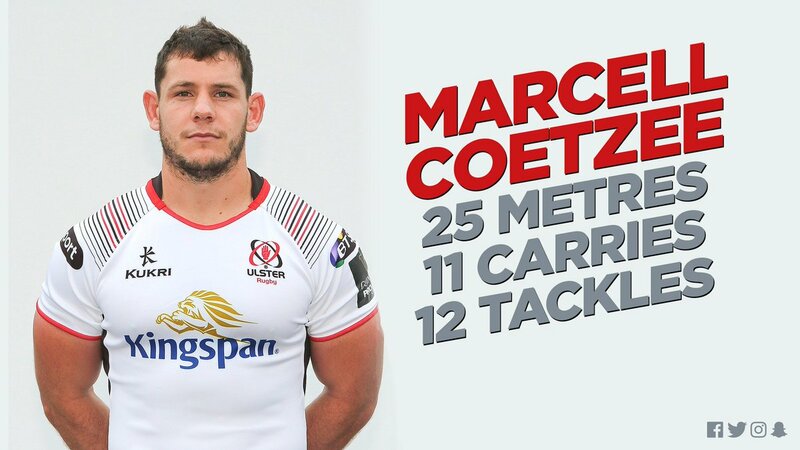 Marcell Coetzee departs for Ulster. What a run here by Jack Conan as they gets over the gainline!. Kieran Treadwell has made 10 good tackles so far this game. Eric O'Sullivan has made 10 good tackles so far this game. Rob Herring has made 10 good tackles so far this game. Nick Timoney has made 10 good tackles so far this game. Jacob Stockdale makes the break as the defence re-enacts the parting of the red sea. 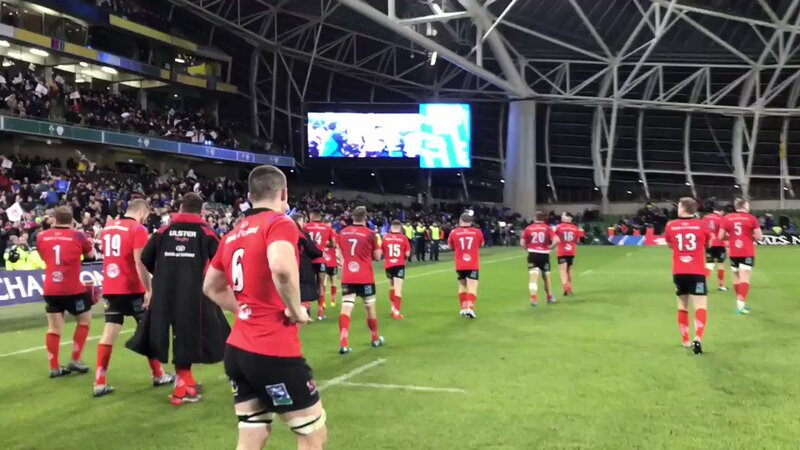 Ulster have won 60 rucks so far this game. Noel Reid comes on for Leinster. Rory O'Loughlin leaves the field. Stuart McCloskey has made 10 good tackles so far this game. Darren Cave has made 10 good tackles so far this game. Marcell Coetzee has made 10 good tackles so far this game. Iain Henderson has made 10 good tackles so far this game. Fabulous play by Ulster has led to John Cooney being able to wriggle through a gap. John Cooney does the business as his penalty goal attempt goes over. Ulster have won 40 rucks so far this game. Ross Byrne makes no mistake with that penalty goal attempt. 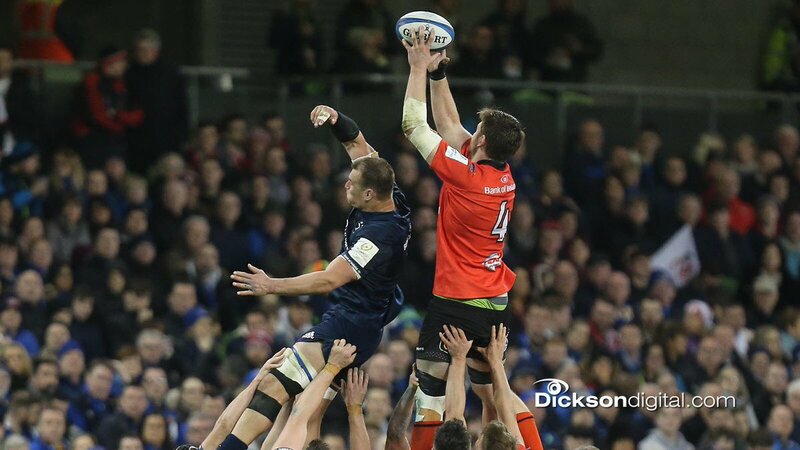 Trouble here as Dave Kearney breaches the defence. John Cooney has made 10 good tackles so far this game. Ross Byrne kicks the penalty. 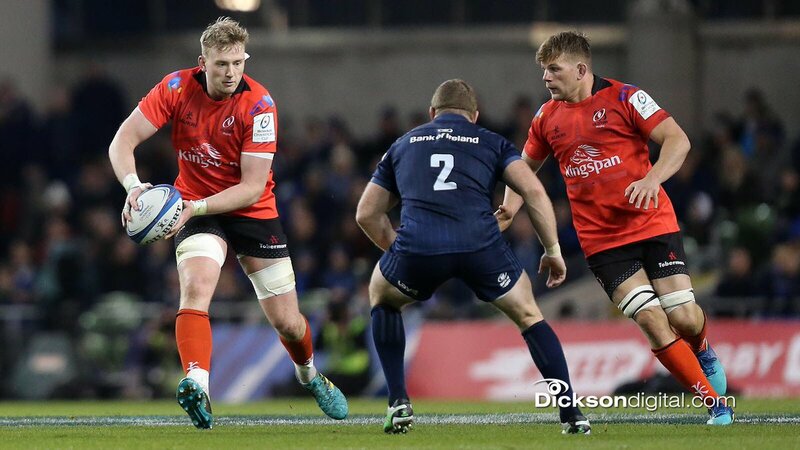 This is dangerous for the defence as Sean Cronin bursts through to advance the Leinster attack. 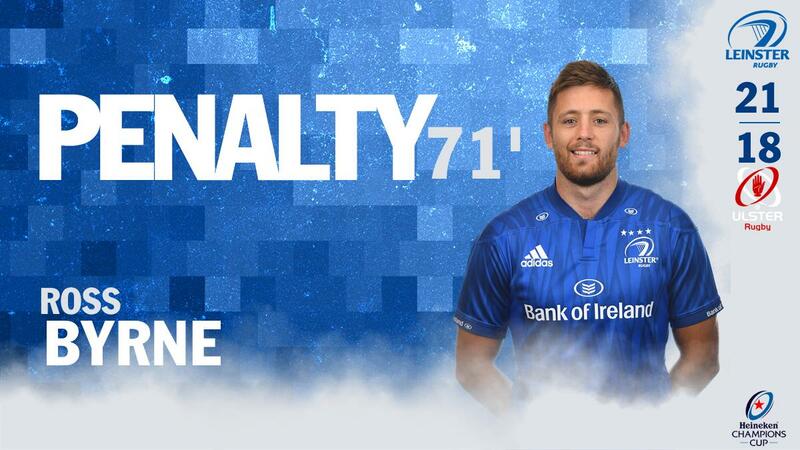 John Cooney has kicked a penalty goal. Ross Byrne steps up to take the penalty but pulls it wide and to the left. Ulster have won 20 rucks so far this game. Ross Byrne has hooked the conversion to the right of the posts. Luke McGrath sets up the try. Ross Byrne scores the try from close range. A gap opened in the defence and Rory O'Loughlin took full advantage. 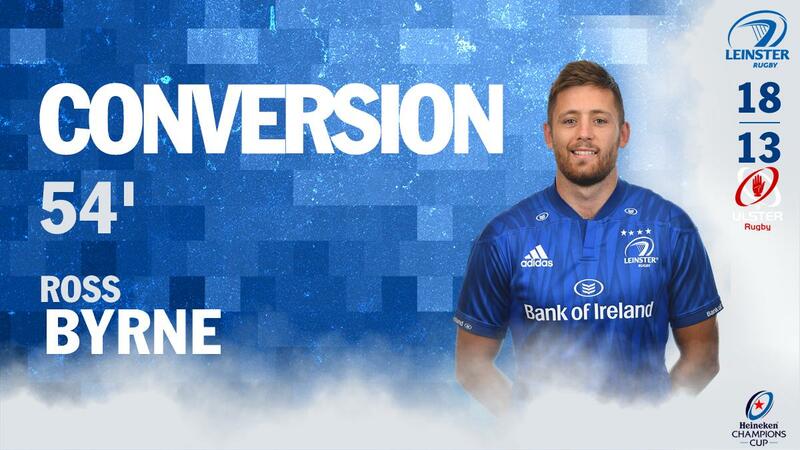 John Cooney has kicked a conversion. The defensive line has been broken as Kieran Treadwell goes through the gap. Ulster are only a few metres out, surely they must score! And they do with Kieran Treadwell touching down. RT @StephenFerris6: WHAT A GAME OF RUGBY! What a contest. What an occasion. 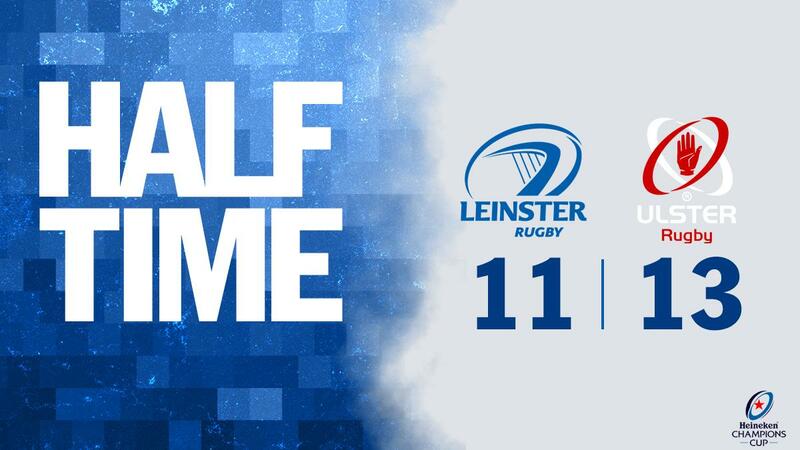 HALF TIME | Leinster 11 - 13 Ulster!